We strive to provide the highest quality and most useful traffic school services including online traffic school courses, live classroom traffic and driving courses, hands on driver training/driver lessons, driving test preparation, road test, learning permit. Not only teach you about driving, but how to become a more confident and safe driver as well. All of our courses focus on proper procedures and building your confidence for driving; we make safety our top priority. We strives to make your long classes seem as short as possible by helping reduce stress and anxiety that comes with learning how to drive. Our school provides special packages for different students depending on their requirements and their needs. Making your learning experience less worry some and more enjoyable at every state with convenience and comfort. Jax Driving Academy is a State Certified driving school that has been servicing Florida since 1999, our mission is to give our students through our multi language instructors in English and Spanish. The knowledge, abilities, techniques, instruction and confidence to become safe drivers. Working for our community since 1999, Jax Driving Academy is the right and secure place to learn how to drive with the highest possible driving standards, ensuring the safety of our students and drivers. Over 17 years of experience in driver training. Is an approved driving school under the Florida State Laws and its courses are supported by the experts in the industry. We adjust ourselves in the days and schedules more convenient for you. Driving lessons 7 days a week. Convenient scheduling personalized to your needs. Highly visible, safe cars with instructor controls. Outstanding reviews from both parents and students. Learn to drive well, not just pass the test. We have in our Staff male or female and Bi-lingual (English-Spanish) instructors. You do not have to worry about not being able to understand your teacher while enrolled with us. We strive to provide the highest quality and most useful traffic school services including online traffic school courses, live classroom traffic courses, hands on drivers training/driver lessons, driving test preparation, road test, learning permit and much more. All lessons packages are taught in our own school vehicles. Our cars are late model mid-size vehicles. Our Driving school vehicles are state licensed and equipped with passenger brakes and other safety equipment to ensure our instructors can provide the safest stress free learning environment possible. Are you facing a fine for speeding or another traffic violation? Applying for a learner's permit? JAX Driving Academy is a traffic and driving school in Jacksonville, Florida, that is dedicated to improving your skills as a driver. Stop by Jax Driving Academy today and inquire about the right class to take for your specific situation. Learning has never been easier or more enjoyable than with us, as we strive to make your long class seem as short as possible. Speak little to no English? Jax Driving Academy bilingual instructors are available for your convenience. You don't have to worry about not being able to understand your instructor. 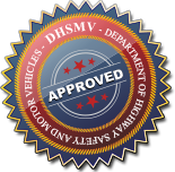 Jax Driving Academy is an official 3rd party administrator and testing center authorized by the state to administer the class E knowledge exam and skills test. Take your road test or learning permit with us. Offers behind the wheel training for manual & automatic transmissions. 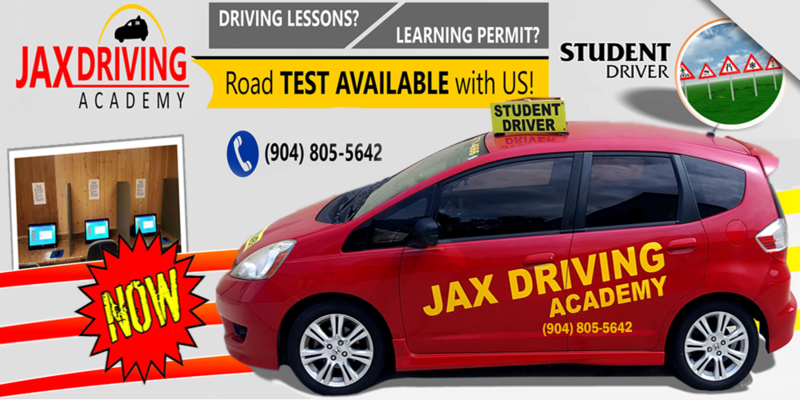 Jax Driving Academy also provides door-to-door service. A really good experience ,very nice and well prepared instructors that make you feel comfortable and safe mind time you’re driving. They make shore you are well prepared for the driving test and not only that they tech really great technics so you can be ready for de road . I just did my first exam today and I passed!!! My instructor was very patient and cool yet strict. I highly recommend this driving academy and I guarantee, you will learn how to be a good driver. Thank You Jax Driving Academy! !